Marketing Elements by Timothy Goleman - Men on Pinterest? 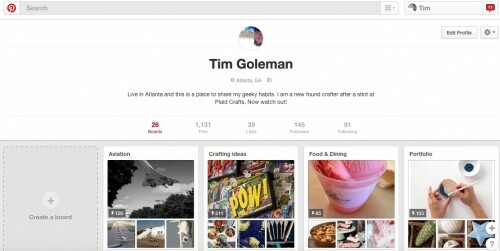 I have said for over a year now that Pinterest will not be skewing to women. That the men will be coming to Pinterest. It seems this prediction was right. The Business Insider reported earlier this year that the number of men increased 73%. Which men’s more men are coming on sharing and pinning pins. There are reasons I think this is happening. The the site is visual – It allows you to quickly go through and find things you like. Even if you have never used the site it’s pretty easy to pick up. Sharing is simple – The user interface has made sharing super simple. You can easily share a pin on any of your boards. It also tells you if you have already pinned the pin. A feature I find handy! Wondering what the hype is? – Like most social networks people wonder what the hype is about and check it out. I never was a big fan at first but after a while it has become one of my favorite social networks. Guys are getting on and seeing why women love the site. 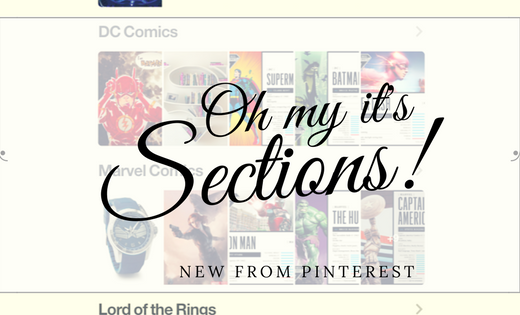 Its great to see more happening with Pinterest. I think it will grow and turn into a much bigger network!